Secrecy jurisdictions: who has the highest ratio of GDP generated by financial services? A high share of financial services in the overall economic activity of a country is likely to indicate the presence of considerable political influence by the financial services industry on the government of the jurisdiction. It is almost universally true that the more reliant a territory is upon a particular economic activity the more deferential it is likely to be to the demands of that sector. Such influence can undermine democratic decision making processes, can facilitate corruption, in the case of financial services can create a strong orientation towards the needs of those outsides the territory who would not normally be the prime concern of its government, and can be (but we stress, is not always) conducive to a criminogenic environment. It’s a considerable indictment of the Crown Dependencies that they are so dependent upon financial services. It is right that the UK has demanded that this change in the Foot report. Their economies are collapsing as the offshore world falls apart under the pressure for reform. And it is essential that they and other states where this dependency is high get the support they need to break the spiral of abuse of the world’s financial system that they facilitate. The cost to the UK of doing that is going to be high. The benefit will be higher. As I have shown, the cost of these locations to the UK might be up to £4 billion a year, the indirect cost much higher still. Giving them subsidies to reform makes straightforward economic sense, and means it will be so much easier to pick off those places that remain in the secrecy world. I know you banned me for something that really was a misunderstanding. 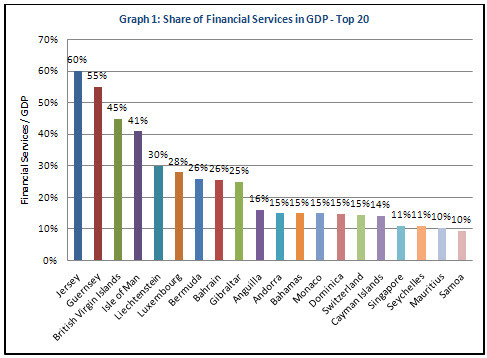 But anyway, having been to Cayman I am astonished at the idea that only 14% of their GDP is financial services related. I suspect even tourism is largely motivated by financial services – that was why I visited and why lots of Americans take an annual winter cruise to see their lawyers, bankers and accountants there. And what does it say about the EU that you can’t even get the data for Austria, Belgium, the Netherlands etc. Why is it an indictment of the CDs that they are good at exporting financial services? I am not sure that your point makes sense. Secondly, the FCO says that UK GDP from financial services is 14% in the round, so why isn’t the UK in your graphic? There’s every logic in the CDs diversifying their economies, and always has been. Truth is that it should have happened a decade ago before the dependence on finance became so great. But the challenge is to establish exactly what we can diversify into it ? The cost of importing raw materials and exporting finished goods makes manufacturing not commercially feasible, and we don’t have the tropical weather of the Caribbean OTs. In any event, the tourism markets here are not what the public now wants, preferring cheap Mediterranean flights (only viable with critical mass) and guaranteed good weather. So whilst its easy to say that we should be less dependent on financial services, for the past 10 years we’ve been looking at this and drawing blanks, other than gaming companies (which hardly seems to be a suitable diversification). Tomatoes, potatoes, freesias etc were all successful for a while for the export markets until Dutch oil subsidies in the 70s and modern economies of scale more achievable elsewhere, coupled with crippling freight/carriage costs which destroys the profit margins, have killed those businesses. What’s your view on what we could/should expand into in order to achieve diversification ? Its ironic that the UK Government of the 1960s actively encouraged the Caribbean OTs (and indeed the CDs) to develop financial services in order to build our respective economies and to become self-sufficient. Nowe we get attacked for having become too successful at it. Yes, the world has moved on since the early 1960s, but viable alternative industries for islands with small populations and surrounded by expensive stretches of water don’t lend themselves to generating GDP from alternative sources. So crime pays: is that what you’re saying Rupert? A great economic policy, don’t you think? That the proportion is so high in Jersey and Guernsey is so high is hardly surprising. The measure is a measure of economic value (% of GDP), which in turn is a function of the proximity to other major financial centres and economic production. These two countries score well in that regard so it is hardly surprising if they are engaged in high value financial businesses. All those really bright people in the CDs and not one of them with a decent business idea? Doesn’t one of them have an ounce of entrepreneurial flair? They did with the set up of the FS’s there. Surely you must have some ideas other than UK subsidies or is it your duty to tear down others rather than rebuilt? I’m sure Jersey have ideas, but to replace 60% of your GDP in such a short time frame? they are not Hudini. Also Cayman is way over 14%, it is also the industry where the highest % of Caymanians work outside of the Civil Service. May be the 14% is so low due to inclusion of the rebuild of Cayman after Ivan and Paloma and the constrution boom from it distorting the figures? I will ignore your very tiring inference that we are all criminals. Fortunately there are far important people than you know the truth. Interesting that you haven’t answered my question. That’s unlike you except when you are struggling. Instead of criticising us for not having any entrepreneurial flair, of which there is no shortage I can assure you, I repeat my invitation for you to suggest suitable alternative industries for such island economies. You see, intelligent entrepreneurs actually like to make money. They take calculated risks. They don’t see viable new industries being built here. Why is that ? Well, for a start the islands only have small populations. By definition domestic demand for any product or service is very limited. So we are reliant on the export markeys and there lies the problem. Raw materials are too expensive to import, and finished goods are too expensive to export. There are dozens and dozens of countries who don’t face those issues and so can get products onto the consumer markets far cheaper than we can. So what exactly are you suggesting we start making instead ? You claim to have been a successful businessman, so instead of your snide remarks let’s test your other claim that you “love” the Channel Islands, and see you suggest constructive ways in which the islands could transform their economies away from finance. I will be fascinated to read about your ideas. I am sure that you will not find it as easy as you do to tear us apart with your criticisms. Let’s see you being constructive for a change. You claim to be successful. You claim to benefit Guernsey more than the streetcleaner. Richard Murphy advertises his progress and his work. Let’s see you do it. Sucking up to the oligarchs is not success. Devising rules to circumvent social need is not success. Creating division is not success. Guernsey is not a success in any terms. Wealth is no measure of anything. It is a drug, and you are hooked. It is the onlt explanation of this obsession of “go on then, think of something else that will make me rich”. Do you think the locals would have supported the privateers if they knew they were depriving their cousins in lands if they could have visited those lands as we are able to now? Why the secrecy, Rupert? What are you trying to hide from the public? Do you know anything about how Guernsey has evolved? Why do you think it has an overwhelming devotion to Nobility? Do you think Dubai/Shanghai business will save you from having to leave Guernsey because your material addiction cannot be satisfied? If you cannot conduct your business transparently and within a society that isn’t populated by sociopaths then you cannot claim anything to be respected. I wasn’t asking you – I was asking Richard. Its his blog and his mouthpiece and its his comments that I’m interested in, not yours. I might not agree with Richard’s views and stances but I respect the fact that he’s an expert in his specialist field of knowledge, unlike you as you are a classic example of the “a little knowledge is very dangerous” syndrome. Richard is telling us to diversify and I’m intrigued to see how he applies his apparent commercial expertise to suggesting something which is viable and sustainable to reduce the dependence on financial services. Its very easy to tell us to diversify, but very hard to come up with viable alternatives. The fee is your credibility in being able to deliver constructive ctiticism rather than merely trying to destroy the Crown Dependencies. You repeatedly claim that you don’t want to destroy the Crown Dependencies. You say that we should diversify into other economies but you haven’t come up with any that are remotely viable for small islands with limited natural resources and which are surrounded by expensively prohibitive stretches of water. Nobody is going to pay you a fee. Many excellent brains (whether they are better brains than yours remains to be proven) have looked at this and have drawn blanks. It genuinely isn’t easy to find viable new non-financial industries which can be exported to generate GDP to sustain the resident population and infrastructure. But is the handling of stolen property and acceptable alternative? And what is the resident population? And what is the acceptable standard of living? Sorry, my lover, but you are wrong here. Yet it appears you attempt to destroy economies for free. Is that your enterprising spirit? try to ruin livelyhoods then try and charge them to “advise” on how to get another one. But you know the problem with stats…. I’m not sure what you mean by “stolen property”, although I can guess what you mean, but let’s assume that we didn’t have any finance centre activity at all beyond basic high street banking. Therefore you would have all those people available to employ in your “new” industries. That should make it easy for you. But maybe that’s too extreme. Let’s assume that we lost 50% of the current jobs in our finance industry. The resident population is 62,000. With half the finance industry there would be a loss of maybe 250 licence-holders and their families, and others would undoubtedly move off to other jurisdictions with their finance businesses, while construction and retail employment would take a big knock-on hit. Let’s assume 57,000. The acceptable standard of living can’t be described as anything other than “as high as possible”. Standard of living is very high at the moment, and it would be inevitable that this would be materially reduced. But if the standard of living was so low that people couldn’t afford to service their mortgages on reduced value house prices, then far more would would hand the keys to the house back to their lender and relocate elsewhere. So maybe 55,000 would need to be sustained. Why didn’t the ‘concerned local finance industry’ that you claim to be a part of, lobby the government, like you always have done to get favours, to get the ball rolling? Now, how is that for starters to provide a platform for change? That’s not a platform for change. Its a platform for being a permanent charity case. I thought you were going to suggest alternative viable industries, not encouraging islanders to beg for charity. That’s not an industry is it ? So, just as I thought, you don’t have any answers at all. And you want a consultancy fee ?!! And how on earth would joining the EU give locals an exit route ? The vast majority of islanders have at least one EU-born parent or grandparent and are already totally free to do what they like in the EU. There aren’t thay many (but there are some) who have both parents and all four grandparents born locally. I thought you would have known that. Very glad I’m not paying you consultancy fees for those “pearls of wisdom”. What on earth are you talking about ? As usual, totally incomprehensible. I thought that a “code of conduct” now applied to this blog. Seems that it doesn’t apply to bloggers like Arnald who habitually agree with you and insult those who don’t. So is there a code of conduct or not? Re. editorial policy, its crystal clear that you favour those who agree with you. Everybody else is simply deemed an “apologist”. If you want a blog which is only open to your supporters then that’s fine, but you shouldn’t allow others in with opposing views if you don’t want them in. Re. changing the CD’s economies – you say that I “want to tinker at the edges” and that I demand real change but only hope for tinkering at the edges. I’m sorry but you cannot possibly draw those conclusions from what I asked you. I simply asked you what I believed was a straightforward question in response to your demand that we diversify our economies. You refer to “real change”, but all you are coming up with is a society which relies on EU handouts. I asked you to suggest appropriate viable replacement industries if we had no finance industry and you haven’t come up with any. I’m not actually surprised at that, as there really don’t appear to be any, but I thought we might all be missing something seeing as you were so confident that there were alternatives. But begging for EU handouts is not an alternative industry for any economy wanting to be self-sufficient and not reliant on handouts. You can hide behind your last comment but the truth is that you don’t have any answers. None of us do. There aren’t any, which is perhaps why so many cannot or will not contemplate any change from the status quo. Its really not enough to say that its a case of me coming back to you to ask for more at a much later stage. Do you not think it reasonable to try to plan the process from the present position rather than when it might be too late ? Good businesses plan ahead and do financial modelling with lots of advance research, rather than waiting until the brown stuff hits the fan when its far too late. You’ve made the bold statement now that we should be diversifying, even suggesting that you could act as a consultant, but I’m afraid that your “blank” sales pitch for the consultancy assignment wouldn’t get you to round 2 of the process. But I don’t believe that we are in anything like the mess that you think we are. Sure, there will be changes and some of them will hurt. But the good business will survive and there is an awful lot of it, far more than you claim to be the case. The IMF, the OECD, the FATF and others aren’t all completely wrong you know. Guernsey needs to diversify it’s economy. The government stymies any local non-finance operation by favouring the finance industry (see waste disposal). Couple that with the well documented evidence that a large part of the finance industry is destructive (at best) and I have every right to attack those that wish to maintain this preposterous status quo. You have rightly highlighted this concern in other posts. 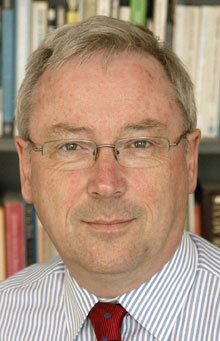 Guernsey would not be able to maintain the current standard of living using any other model. That is a given. But seriously, who will suffer most? Those on the breadline already, or those that have feathered their nests using techniques that are deplored in the wider world? The post deleted by Mr Murphy, and I shall be honest, was speculating on your position in the society that my children are growing up in. You are consistently open in announcing your knowledge of my working life. Whatever it is you do, you cannot claim that it is working for Guernsey. Short term benefits hurt more than than long term planning. Bubbles burst. It will not be you that suffers, it will be the innocent toilers who couldn’t care less about the rarefied cliques you probably inhabit. The GIBA attitude is offensive to the islanders. It is offensive to me as a concerned parent. My children couldn’t care less if we lived in a hovel, as long as their existence had integrity. Bringing up children under false pretences is tantamount to abuse. I found this example and i apologise for the crude cutting but i couldn’t care less about quality. With this sort of attitude, by wanting to usurp the tax take for other jurisdictions, the whole argument of ‘efficiency’ is frankly, pants. “…[these instruments] have been extremely popular in the United States as wealth succession planning vehicles for many years. They enable the control of underlying assets to be separated from the economic ownership, thereby facilitating the flexible succession of family wealth. [instrument] is fiscally transparent, can be used to achieve the same controls over the succession of the family wealth….. However, there are many pitfalls for the unwary. …[instrument] is actually a collective investment scheme for UK regulatory purposes and so the duties of the general partner are governed by the Financial Services Act. Non-compliance with the regulatory provisions is a criminal act, but can be overcome either by appointing an FSA-regulated general partner, or by delegating all duties of the general partner to an offshore or overseas third party…..
Tax-wise… an English [instrument] with an offshore general partner and then administered offshore, or as an offshore (say Guernsey) limited partnership with an offshore general partner, makes no difference whatsoever. Both enable the UK’s FSA regulations to be avoided, although it is also important to ensure that the offshore-administered [instrument] does not instead fall to be treated as a collective scheme in the offshore jurisdiction for local regulatory purposes. The public disclosure requirements of an English law …. at Companies House are already greater than for an offshore limited partnership and this is likely to become an even more important factor once the UK’s Limited Partnership 1907 is shortly updated. Wealthy families will not wish the public at large to know that young Johnny has just withdrawn £10m from [instrument]…. This factor probably swings the advantage back in favour of offshore…. 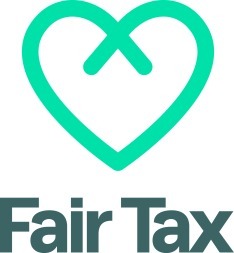 The changes needed are to become more acceptable to the EU, which will then usher in a new era of being a favoured European financial centre, double taxation agreements and completely new forms of financial activity as a result. Change can be painful, but it is necessary at this point in our history. I am optimistic that we can do it. Richard endlessly focuses on micro points, when Jersey is thinking about its future as a country. Not a problem for me at all. Born and bred locally, I would love to stay but if there are no prospects locally then I have to go where the business is. Its the ones who will be left behind who I genuinely worry about. I already spend most of my time travelling off-island so it holds no fears for me personally, although its my island so of course I care about what happens. Jersey Girrl is absolutely right about the future though. I’ve no idea what Arnald thinks as I haven’t yet worked out what he’s trying to say. I need more time to properly digest his posting. But he will be one of the many who would get left behind scratching around trying to find money to feed his family. I don’t do scratching around. I don’t do chasing money. I would live in a box and keep my integrity. I’ve been homeless, I’ve been penniless. Food grows without cash. Education is freely available. Society is people. Only inequality causes strife. Co-operation and compromise are true human attributes. Greed is the imposed curse. That’s what you peddle. ‘Wealth management’ is a defunct and useless load of old nonsense. You need to go back to school.